You may think you have crossed the finish line once the writing is completed. Although it is indeed a major milestone worth celebrating, finishing the book is just one piece of the self-publishing pie. An important piece that often gets neglected, is promoting your ebook to get it to sell. 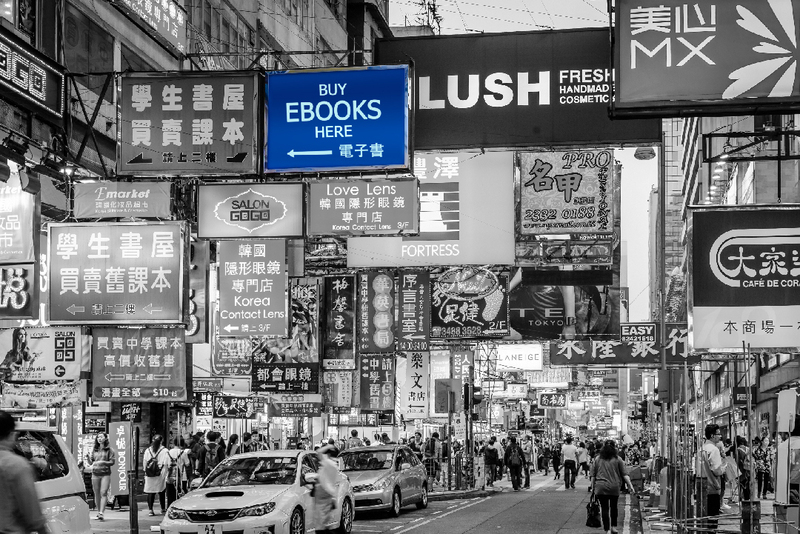 How do you make people notice your ebook in a noisy online marketplace? Here are 10 tips to consider. You can start working on some of these suggestions while you write, but some involve ongoing efforts throughout. The good news is that most of them do not cost an arm or a leg! #1 Decide what you want to promote. Yourself as the author, or the ebook? Non-fiction? Focused on a particular subject matter? Academic? Promote the ebook because readers looking for such content will most likely search for it online based on the subject matter or the title of the book. For readers who find your content useful, they’re likely to be sharing it with friends or contacts interested in the same topic, instead of talking about who the author is. If the content is relevant, the probability of the content being quoted or used as research material is higher too. Fiction like romance, thriller, or children’s stories? Promote yourself as the author. Readers who have just finished a good story would naturally look for the next one with similar quality. No surprises here — they would search for work done by the same author. They are eager to latch on to the next good book you have written. So in all your marketing collaterals, highlight who you are and the other works you’ve written. Within the ebook stores’ interface, the main hook to lure potential readers is the book cover design and the description of your ebook. A good description gives readers an immediate sense of what your story is about and helps them decide if it appeals to them. It should attract them to give your ebook a chance. A well-written synopsis will convince them your ebook is worth their time; time being an important asset, as there are so many other kinds of digital content fighting for attention. Similarly, create a clear but succinct bio that is versatile enough to be used across various digital platforms. Especially for non-fiction or academic content, highlight your credentials and experience in the field as that immediately raises your credibility as well as that of your ebook. Find someone professional to set up and design a simple website for you that features you and your ebook(s). Best if it has a blog feature—posting content regularly ensures your website is not a dead town, giving visitors the impression that your ebook is outdated or you are no longer active as a writer. What to blog about? Share your journey as a writer, what inspires you, or some behind-the-scenes tidbits. Put out your opinion related to the book and give advice so you come across as the subject matter expert. Highlight parts of your book, or ask readers for feedback. If they contact you, reply promptly to establish a connection with your readers. As you continue to write content relevant to your work, this improves the search engine ability of your website so it puts your name out there. Even though yours is a digital book, don’t underestimate the appeal of a physical event. Find a cosy space like a cafe or a condominium function room where you can invite friends, relatives and everyone’s contacts to munch on finger food and drinks while you do a live reading of your book. Inform them of the website or the links to download your ebook by giving out name cards, stickers, or a handout. Having something to bring home helps! Display the information via a projected screen. Creating a buzz, leaving a positive impression and making face-to-face connections is key here. Take it from us – we celebrated the launch of our revamped website with an offline celebration featuring food (of course), guest speakers and a casual networking sesh. It definitely helps if you have a new project to work on, and even better if it is part of a series. Highlight your existing book(s) as part of cross-selling, talk about your new work and ask readers for their thoughts either on your blog or you can mention it during your launch event. When people respond, engage them in a conversation. People enjoy being privy to your creative process, you’ll find. Connect with people by attending events that are related to writing/publishing or your book topic. Instead of going with the intention to only sell your book, think of how you can contribute to others and share your knowledge with the people you meet. This way, while growing your network, people can be interested in you and what you have to offer. It is also less stressful for you when the focus in not on yourself, but consider others and how you could add value to them. eBook stores allow readers to rate the ebook and leave a review on their website. This is when all the good karma you have accumulated comes in handy—ask your contacts to download the ebook, and consequently leave a positive rating. It gives potential readers that extra vote of confidence in your work when they land on that page. Connect with influencers or bloggers with an audience who may benefit from your ebook, and request for them to review your ebook on their website as well. Establish yourself as the domain expert or an experienced writer by writing articles frequently and contributing to other platforms. Share resources on your blog. Get featured by other related websites by offering to be interviewed. Most blogs are on the lookout for good content and interesting personalities to feature. Volunteer to give talks or participate in conferences, and if you receive an honorarium for it, that is definitely a bonus. Use the keywords immediately related to you and your ebook. You will be notified when someone on the internet writes about you, your ebook, or the domain of your book. Find out what’s trending, contact these people to explore collaborations, or just express your gratitude for them mentioning your work. On Facebook and Instagram, post stuff that is share-worthy. A pull-out quote nicely typed out in Word or Photoshop can capture readers’ attention and make them curious about your content. If you have access to more creative resources, produce attractive visuals using elements from your book or book cover design, or short videos or animated gifs that work as ebook trailers. All this is to help your audience come to know of your presence, be curious enough to click on your content, or help them to remember you. If you’re looking for ideas, drop by Tusitala’s Facebook/Instagram to check out some of the promotional content we’ve created for our authors. One last tip: If all this seems a little overwhelming, start by selecting just a few items to focus on. #1, 2, 4, 9 can get out of the way once they have been put in place. For #3, you can blog, say, once a month first. Remember marketing is a marathon, not a 100m dash. So pace yourself, don’t give up and keep going!